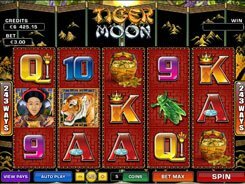 The non-progressive Happy New Year slot from Microgaming is all about a Chinese New Year celebrated on the 1st day of the lunar calendar, and its date can vary every year by about a month. 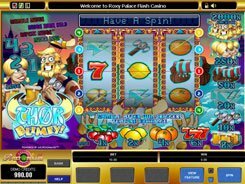 This five-payline slot employs a Vegas-style 3-reel layout, yet its symbols are far from being of a classical set. On the reels, you will come across firecrackers of various colors, Chinese paper lanterns and hieroglyphics. 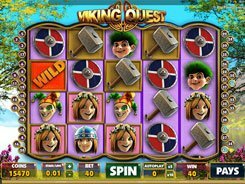 A bet is very flexible ranging from $0.01 to $125 per spin to suit every bankroll. 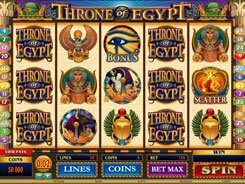 The slot offers generous New Year gifts in the form of decent payouts, and the most gorgeous win of 2400 coins is granted for three hieroglyphics appeared on an active payline. So if you have placed the top $25 stake per line, your reward will reach an eye-watering $60,000. To qualify for the jackpot, you need to spin in 3 hieroglyphics on line #5. 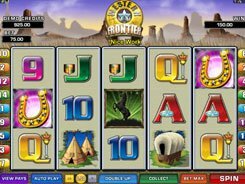 Besides, that jackpot-triggering symbol acts as a wild substituting for other symbols and increasing payouts x2 or x4 times. 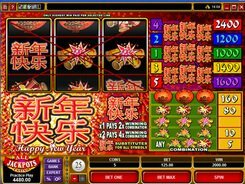 The Happy New Year slot machine can make you happy with just one lucky spin without distracting you with unnecessary bells and whistles.